Dr Richie Achukwu holds a Doctorate in Leadership & Management from Logos University (USA), a Certificate in Strategic Leadership Coaching from Harvard University (USA), a BA in Philosophy and a Masters in Neuro Linguistic Programming (NLP). He also holds a Master Facilitator Certificate. Dr Richie Achukwu is an Author, Executive & Leadership Coach, Leadership Trainer, Group Coach and a Motivational Speaker. 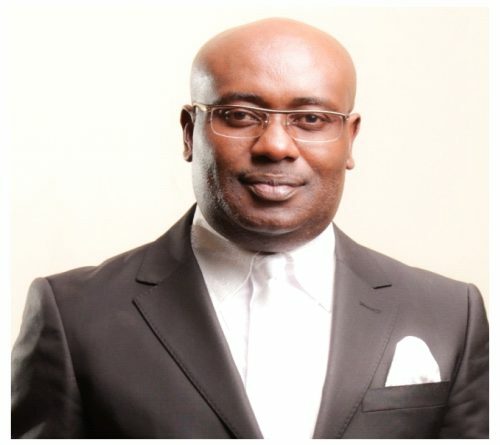 He has corporate business experience having previously worked for companies such as DHL and has also consulted for Shell Petroleum in Nigeria on De-confliction on the Chinese Petroleum project. Dr Richie Achukwu is a member of the society of Neuro-linguistic programming, COMENSA (Coaches and Mentors Association of South Africa) and a Certified Business Practitioner of Motivational Maps. Alumni of Brendon Burchard’s Expert Academy, a Strategic Intervention Coach (an intervention strategy founded by Anthony Robbins and Cloé Madanes), a member of the Global Speakers Federation. Dr Richie has undertaken leadership training interventions for the private and public sectors in South Africa, Zambia, Zimbabwe, Chad, Suriname and Nigeria. He is supported by a team of experienced Trainers and Coaches, most of who have come from the business world and are experts in their areas. He also uses media as a tool to reach a wide range of audiences with life transforming messages. He has hosted a live coaching feature called “The Mind Clinic” on CNBC Africa’s Kicking Doors TV programme. He also hosted a radio show focusing on Leadership on the internet radio station, Dexterity Radio. From time to time he is invited to conduct ‘live coaching sessions’ on SABC 1’s Mzansi Insider programme.